Are you looking to start a new business in Ranchi with low investment? If yes, then your search ends here. Chaat Ka Chaska is one of the fastest growing street food brand that offers you excellent street food franchise business in Ranchi. 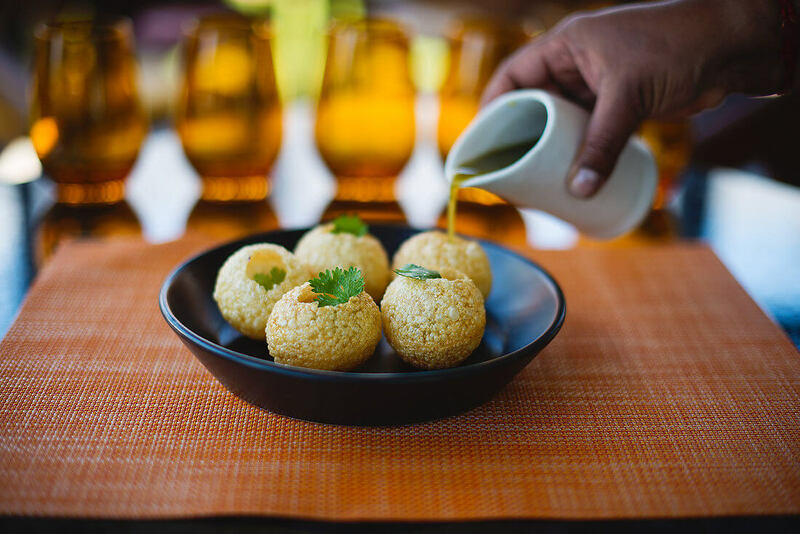 Food business can be a profitable venture for you as street food business is experiencing a tremendous growth in India because all the foodies want a ready to serve food like Chaat, Golgappa, Dahi Bhalle, Sevpuri, Bhelpuri, Tikki Chaat and much more. So open your own street food franchise store in Ranchi and become your own boss. Why Chaat Ka Chaska Franchise in Ranchi? Ranchi, the capital city of Jharkhand state is the most populous city of the state with 1.5 million. Ranchi is also known as ‘City of Waterfalls’ since the place came to be known as hill station at British time. Ranchi has seen a quick growth in population and industrialization and these factors have influenced changes in weather patterns and increase average temperature. Now the city has lost it’s charm as a hill station but it still the favorite choice for industrial areas. The city saw sudden increase in population. Due to many industries, opening of banks and offices many people migrated to Ranchi. And now, Ranchi has become the populous city of Jharkhand state. Thus, opening a street food store in Ranchi will be a wise decision for all the people who want to start a new business with low investment. If you are interested in having your own food franchise business in Ranchi, then Chaat Ka Chaska street food or chaat franchise is the best opportunity for you. You shouldn’t miss this opportunity to have your own food cafe in Ranchi and become your own boss. Chaat Ka Chaska is a venture of Brewbakes Cafe, which is offering you excellent franchise support in Ranchi with solid business plans, pre-opening support, extensive training program, effective marketing strategy with low investment and ensuring high-growth and high profit in the business. Apart from a large industrial area Ranchi is well famous for the educational institutes and colleges it has. And due to these industries and educational institutions Ranchi is now home to many young professionals and students. And these people can be your potential customers as they have huge contribution in hangout places, food store, cafes or restaurants. Also Ranchi is one of the largest cities in Jharkhand state and have many favorable places where a street food franchise store can be opened. Chaat Ka Chaska offers you excellent chaat franchise business opportunity in Ranchi. Along with supplying quality ingredients and products for your chaat franchise business and will also train the staffs to make the mouthwatering chaat and Indian street foods. Chaat ka Chaska is one of the fastest growing street food brands in India, serving street foods in hawker style but are prepared with finest quality ingredients. Street foods are not hygienic but all the products at Chaat Ka Chaska are hygienically prepared and served. So, Chaat Ka Chaska street food franchise will be a very safe business for you. So, invest in Chaat Ka Chaska chaat franchise business in Ranchi and become the member of the best and leading brand and food business family.